Join us via Video Conference at the NSCC Middleton Campus. The Digital Media Tax Credit program was created as a provincial tax incentive program to encourage Companies of all sizes to develop interactive digital media products. Claimants are able to apply for tax credits for expenditures such as salaries and wages, eligible remuneration, marketing and distribution of the product. The program is one of the most generous of its kind across all Canadian provinces. · What is the Digital Media Tax Credit? · How much is the tax credit? Deloitte’s professional team across various provinces has serviced companies of all sizes to deliver hundreds of thousands worth of claims in tax refunds. Deloitte’s presenters will consist of a Senior Manager from Ontario, Oscar Cheng, CGA along with a Senior Tax Analyst from Halifax, Brendan Horning, CA. 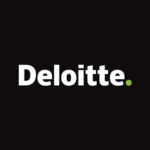 Deloitte has an reliable reputation with the Canada Revenue Agency and is a recognized leader in providing professional services to companies of all sizes from across the world.